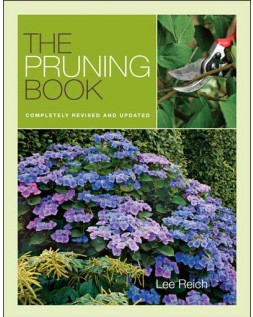 Lee Reich's The Pruning Book is worthy of a lunchtime series, but it's summer, so you'll just get a review with a few choice tidbits. I thoroughly enjoyed the book, from the structure (30 pages on pruning basics, then sections on each type of plant you might want to prune) to the visuals (which include both informative drawings and photographs). I've always liked Lee Reich's method of researching and presenting facts, but still inserting bits and pieces of personal experience, and this book was no exception. Do you understand why a heading cut makes plants bush out while a thinning cut merely redirects energy to existing limbs? Did you know that thinning young fruits not only ensures the remaining fruits are larger, but also that the tree doesn't decide to skip fruiting next year? I'll regale you with more tidbits as I summer prune our orchard and berry patch over the course of the next week. Our chicken waterer is the POOP-free alternative to traditional filthy chicken waterers. I need to read this book, checking to see if my library has it! Fostermamas --- I highly recommend it! I don't keep many books on my shelf, but this one will stay for a few years at least. Michele --- Thinning does seem to be very much worth the effort. Not only for the reasons listed above, but because it helps prevent fungal diseases and increases flavor. Good luck with your peaches!